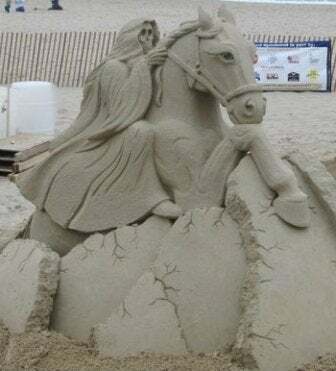 Who wants to see spooky sand sculptures? Nobody? Well, you're getting them anyways! These were taken at Hampton Beach, New Hampshah where the annual Sand Sculpting contest took on a very strange theme for June. The people who create these travel all over during the summer showing off their unbelievable talent. That's sand! The degree of difficulty for these was even higher since it was rainy most of the week.